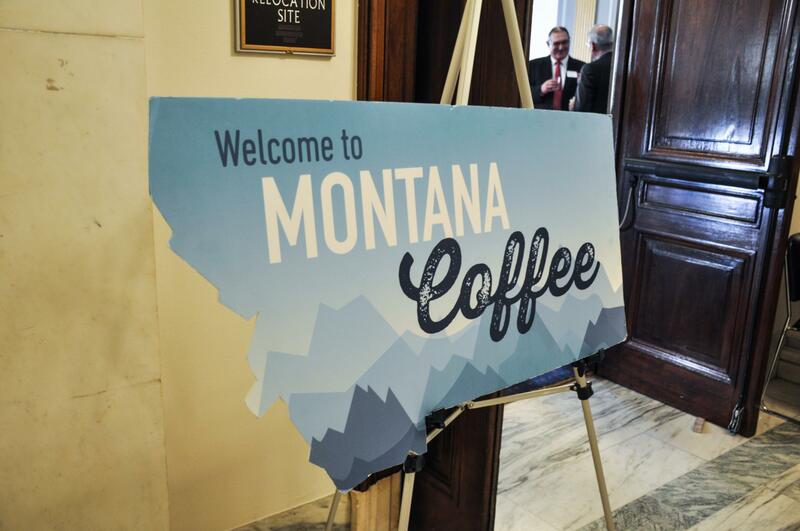 Montana's Congressional delegation hosts a coffee each Wednesday where they meet informally. This tradition was started by former Montana Senator Max Baucus and remains open to the public. 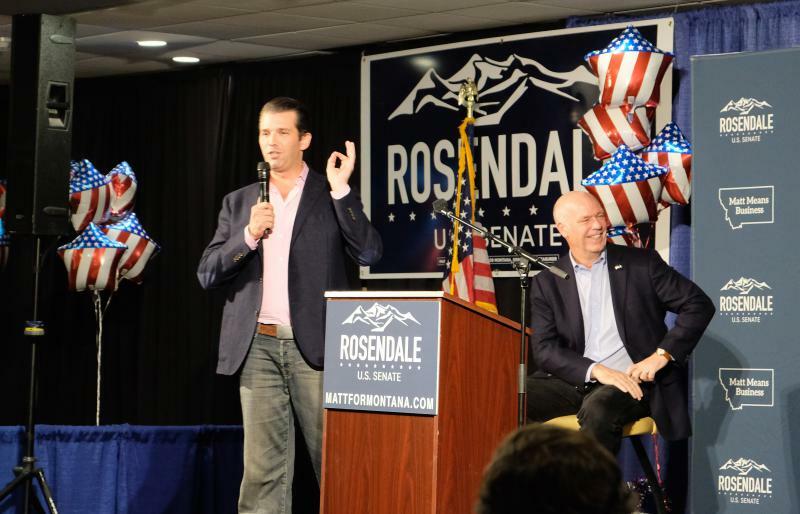 At the recent GOP Platform Committee dinner in Billings, Republican Congressman Greg Gianforte referred to Senior Senator Jon Tester, the lone Democrat of the delegation this way. 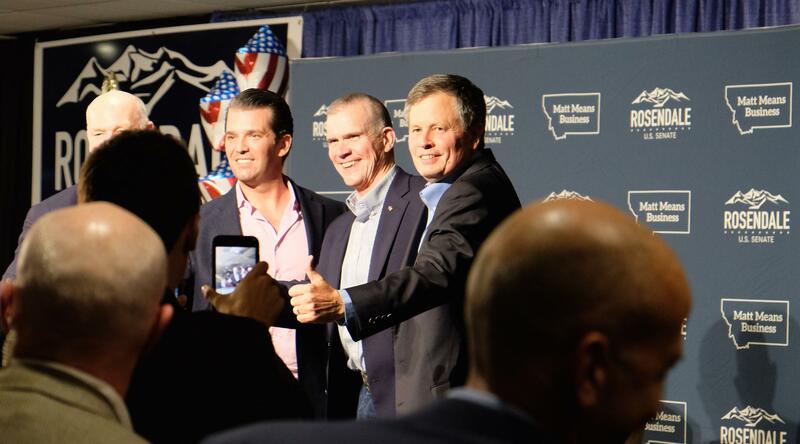 It was a reference to Matt Rosendale, who was on the stage with Gianforte, Republican Senator Steve Daines, and Donald Trump, Jr. Rosendale won Montana’s contested Republican June Primary Election. 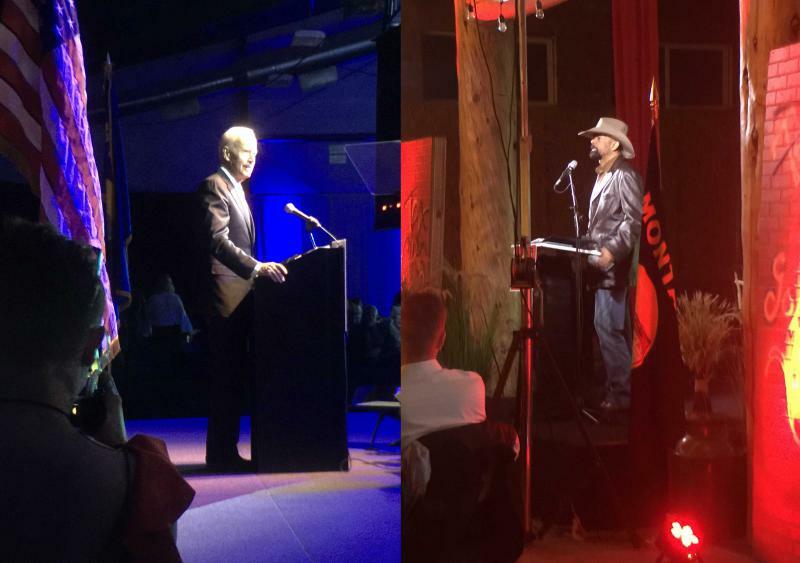 All spoke at the GOP Platform Convention in Billings in June. 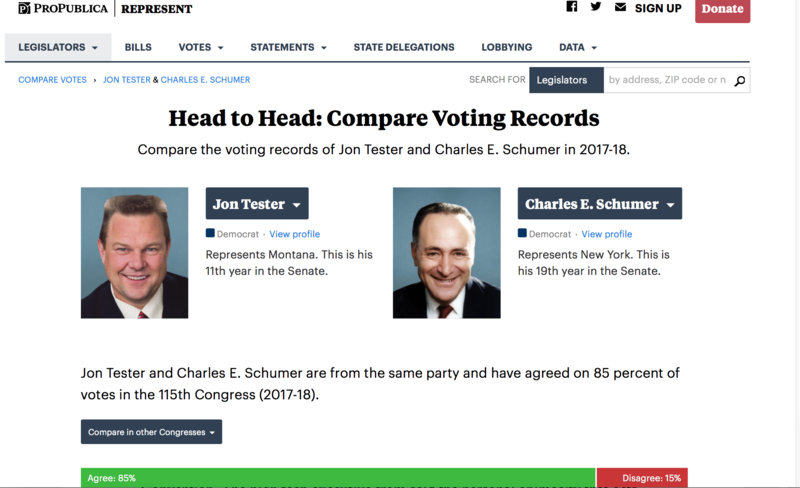 Tester has denied the charge he votes all the time with the Senate Minority Leader Chuck Schumer of New York. A head-to-head comparison of their voting records compiled by the investigative service Pro Publica found that charge was not accurate. Gianforte was asked about his comment later after he spoke at the Platform Convention. The high tech executive from said the personal animosity that gets represented in the media honestly doesn’t exist but he said the reality is there are different voting records among the members of Montana’s Congressional delegation. He said basically every Wednesday the delegation gets together for coffee. 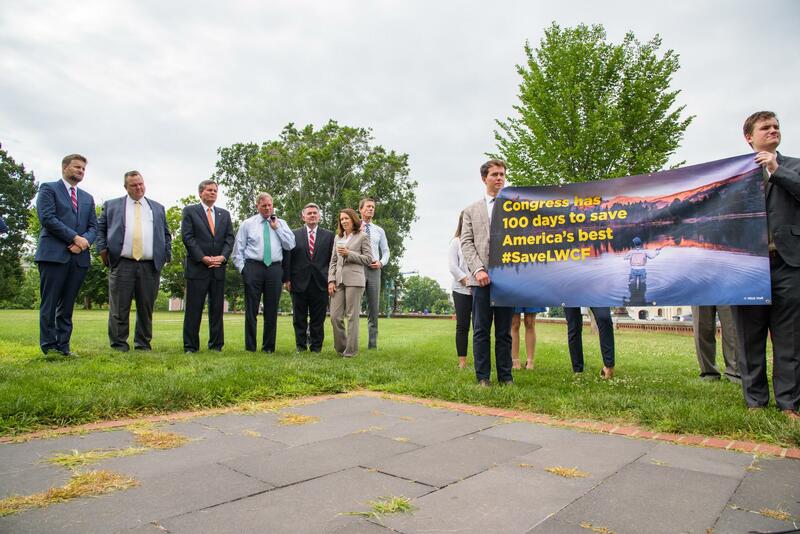 This is a tradition started by former Montana Senator Max Baucus for the delegation. The gathering is open to the public. Gianforte agreed there’s no question all three of them love Montana, but there’s a different vision to take it forward. While Senator Steve Daines, a fellow Republican, agreed there are different votes among the delegation, he mentioned the Trump tax cut proposal as an expample. But he said at the end of the day politics is about relationships. Senator Jon Tester, second from left, and Senator Steve Daines, to the right of Tester, at a recent press conference to discuss the Land and Water Conservation Fund. He said it’s about disagreeing but not being disagreeable. “What I’ve told folks all the time is I don’t know that you can pick any 2 people that agree on all the issues,” agreed Tester. Senator Jon Tester speaking at the 2918 annual Democrat's Truman Dinner in Billings. The farmer from Big Sandy said when it comes to Montana issues, the delegation works well together. He pointed to several pieces of legislation where there the delegation worked together, including the East Rosebud Wild and Scenic Rivers Act or the Yellowstone Gateway Protection Act. And Tester on the stump and in campaign ads mention how he has worked at times supporting the President and when he doesn’t he said it is because he’s representing Montana. He has also pointed out that some of his bills, particularly those addressing veterans, have been signed into law by President Trump. Regardless, all of the members of the delegation said they’re going to continue to work for the betterment of Montana and the country and leaving it up to voters to grade how well they’re doing that job. Numerous speakers – including one of the President’s sons - targeted Democratic U.S. 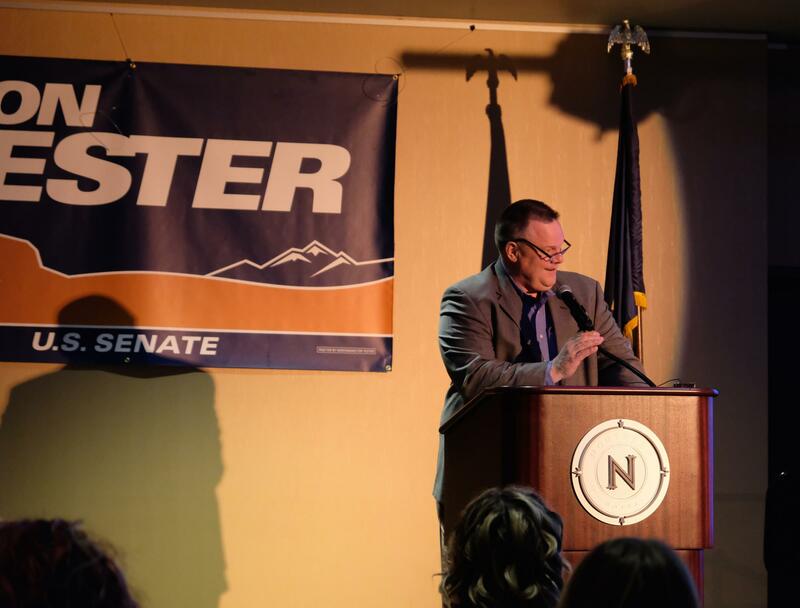 Senator Jon Tester at a Republican event Friday night in Billings.